Woohae Cho/Getty ImagesFIFA President Gianni Infantino. Chicago and Vancouver will not try to become World Cup host cities in 2026. This is in large part due to demands from FIFA concerning taxes and security. 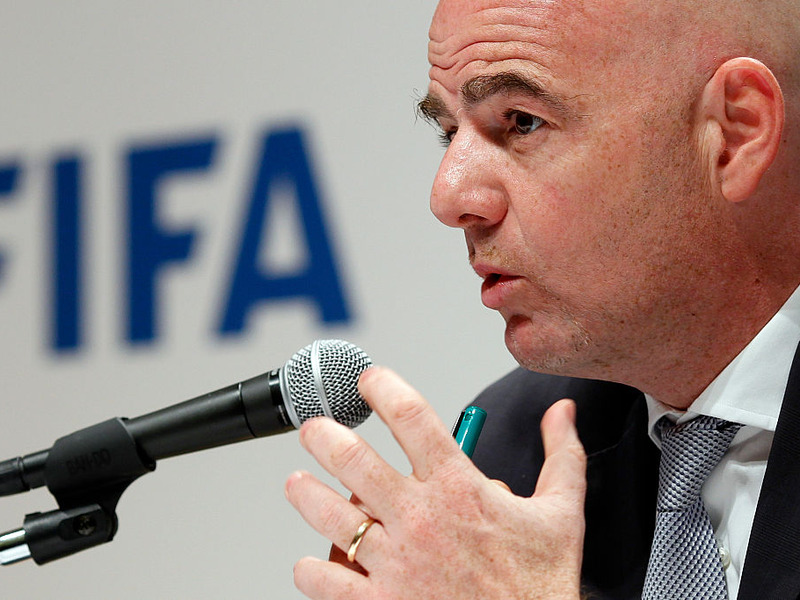 The United States, Canada, and Mexico are vying to jointly host the World Cup in 2026. Thanks to FIFA’s outrageous demands towards host cities, a few major North American cities opted not to be included in the joint bid between the United States, Canada, and Mexico for the 2026 World Cup. Chicago, the very headquarters of the U.S. Soccer Federation, is one such city that withdrew from the bid. Vancouver also opted not to participate in the bid, according to the Breaker. Their report states that the Premier of British Columbia, “balked at FIFA’s expensive wish list, from a sweetheart lease of B.C. Place Stadium to onerous security costs. ” Minneapolis also pulled itself out of the running to be a host city, according to the Star Tribune. Among the demands FIFA is making, the organisation wants a tax exemption from host governments, and for host governments to assume full responsibility – including the cost – for the World Cup and its related events, and for the World Cup workers to be exempt from local labour laws. It’s no real surprise that FIFA, a notoriously scandal-ridden institution, would be too much of a hassle for some cities. Still, the final bid proposed by the three countries does include major cities such as Los Angeles, Toronto, and Mexico City, per Sports Illustrated. North America is competing against Morocco to host the 2026 World Cup, with the winning bid to be decided in a vote this summer. In the meantime, FIFA will hold this summer’s World Cup in Russia, and the 2022 World Cup will be held in Qatar, a hosting decision that has generated an enormous amount of controversy.